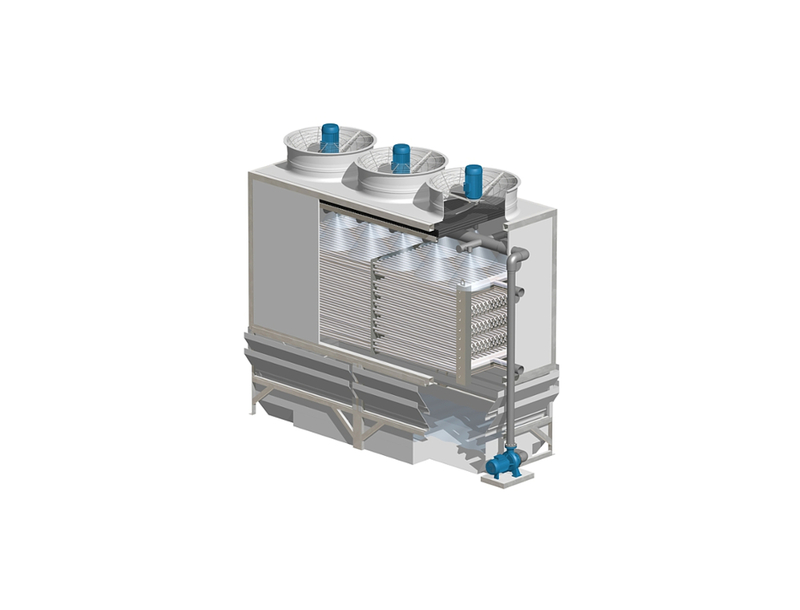 The MCE series is suggested in industrial refrigeration, where a refrigerating fluid must be condensed. MCE is indicated in cooling systems linked to industrial logistics, or storage of foodstuffs inside refrigerated warehouses. countercurrent air flow, allows the progressive condensation. – Body made of 22 mm thick fibreglass sandwich panels. – Distribution system in PVC equipped with wide nonclogging PP spray nozzles. – Certified PP drift eliminators (entrainment 0.01%). Heat exchanger coils made of smooth tubes in hot dip galvanized steel after fabrication, in compliance with PED Directive 2014/68/EU. – Capacity: from 80 kW to 1.7 MW.